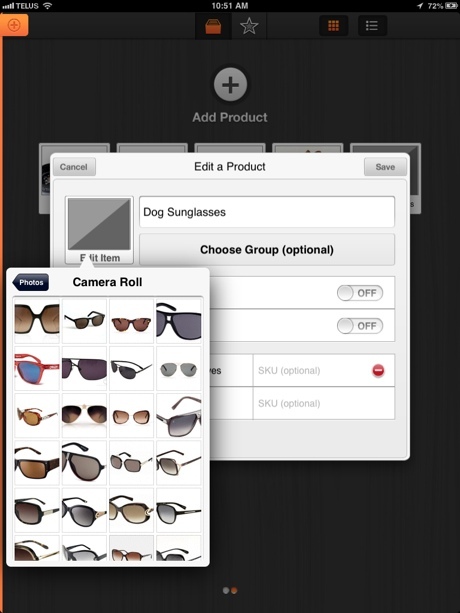 A great way to be able to find items quickly and easily, can be images. Although not required, images can be attached in a variety of ways. 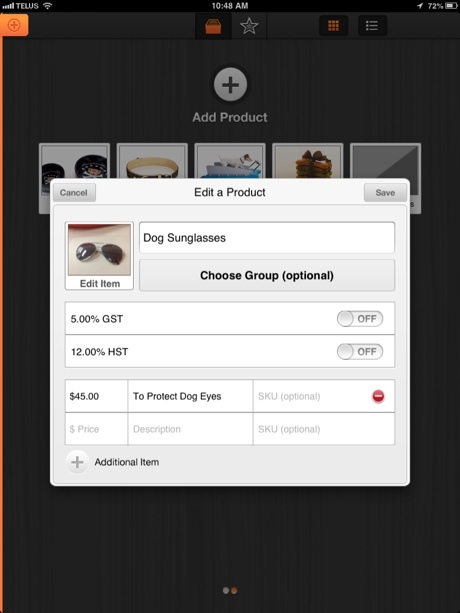 While editing items, you can tap on the two tone block labelled Edit Item to be presented with options on creating images. 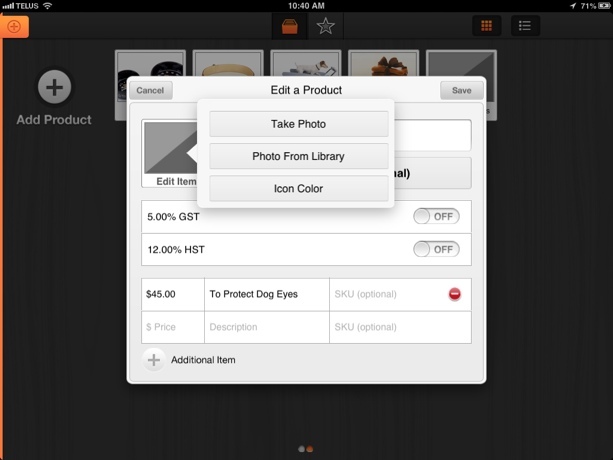 The Take Photo option will activate the iPad's camera, and you can take a photo of the product that will then be cropped and resized to fit the item. If you choose to take the photo from a pre-existing library, where you may have stock imagery, or photos of the product that are chosen by the vendor, you can choose Photo From Library, and then choose an image from either your Camera Roll, or Photo Stream. 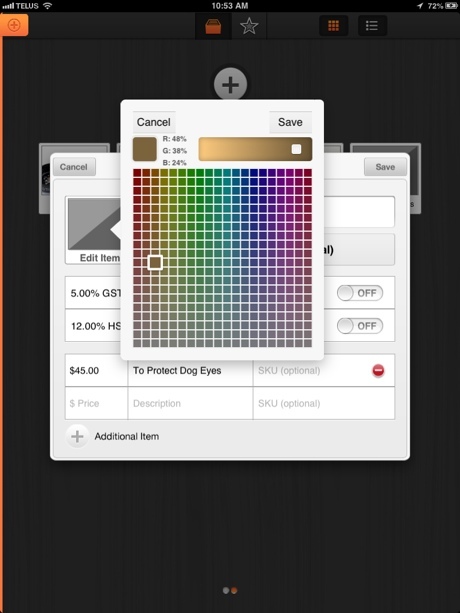 Finally, you can assign a single colour from a gradient through Icon Color as the image for your inventory item.